Ruby was born March 6, 1935 In Stendal to Emil and Hilda (Nuhring) Sollman. She married William “Bill” Messmer on September 17, 1955 in St. Anthony Catholic Church. Bill preceded her in death on June 12, 2010. Ruby was retired from Kimball Electronics. She enjoyed flower gardening and crocheting. Ruby was a member of St. Anthony Catholic Church, V.F.W. Auxiliary and St. Anthony Legion Auxiliary where she was a past president. 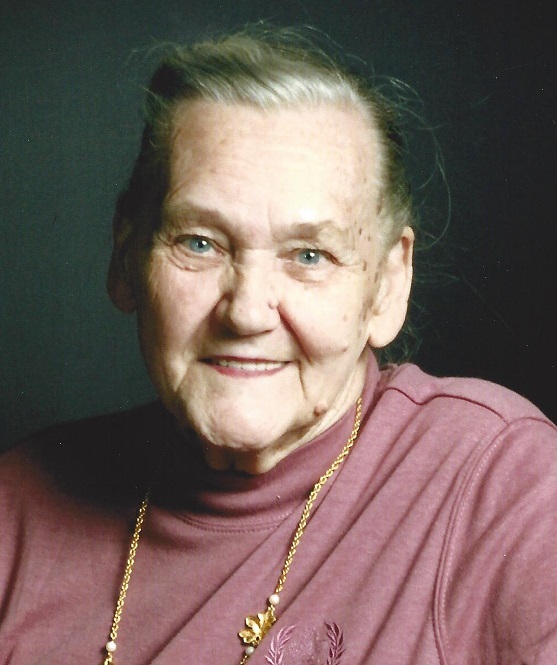 Ruby is survived by three daughters, Marlene (Gordon) Gentry of St. Anthony, Idonna (David) Fox of Somerville, IN and Sheila (Steve) Peck of Pocahontas, IL; one son, Nicholas “Nick” Messmer of St. Anthony; one brother, David Sollman of Velpen; a daughter-in-law, Mary Jo Messmer of Huntingburg; fifteen grandchildren and sixteen great-grandchildren. Ruby was preceded in death by her husband, Bill; a son, David Messmer, a brother Paul Sollman and a grandson, Nicky V. Messmer. Funeral services will be Thursday at 10:00 AM in St. Anthony of Padua Catholic Church in St. Anthony. Burial will follow in the church cemetery. Visitation will be Wednesday from 4-8:00 PM at Becher Funeral Home in Ferdinand and Thursday at the church from 9:00 AM until time of services. Online condolences may be shared at www.becherfuneralhome.com. Memorial contributions may be made to St. Anthony of Padua Church Cemetery Fund or St. Peters Cemetery Fund in Stendal.